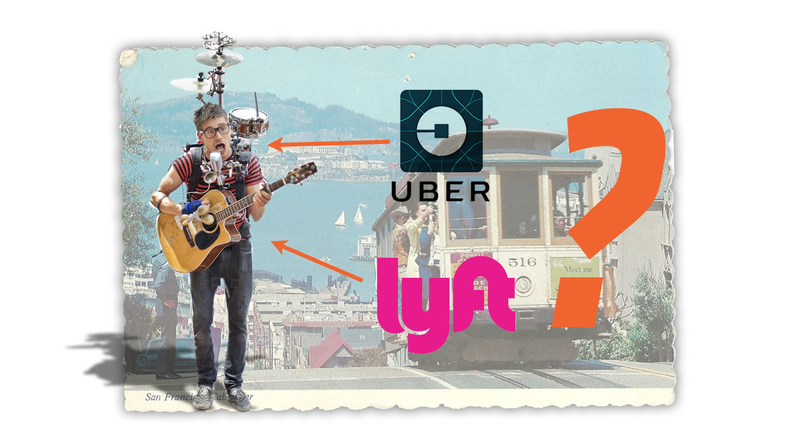 San Francisco ordered an investigation into whether Uber and Lyft are “public nuisances,” which makes them sound like the college kids next door. But it’s way worse than that—the investigation is not only into whether the companies’ drivers create road hazards, but also into their service of the poor and disabled. Fresh on the heels of another investigation into whether the services really alleviate traffic or not (they probably don’t), Reuters reports that the city’s subpoenas seek four years of records on the San Francisco-based companies. Lyft and Uber have around 45,000 drivers between them in the city and the requests are for hours and miles logged by drivers, incentives, zip codes visited and traffic infractions, according to Reuters. “No one disputes the convenience of the ride-hailing industry, but that convenience evaporates when you’re stuck in traffic behind a double-parked Uber or Lyft, or when you can’t get a ride because the vehicle isn’t accessible to someone with a disability or because the algorithm disfavors the neighborhood where you live,” [City Attorney Dennis] Herrera said. The city also said the number of company cars in the city and the tendency to block bike lanes both contribute to that evaporation of convenience, according to Reuters. Herrera also said drivers traveling a long way into the more densely populated city for workdays could be a threat to road safety due to drowsiness, Reuters reports. “Lyft has always been focused on improving transportation access for people across all cities in which we operate,” said spokeswoman Chelsea Harrison. For a company with a boss who said private car ownership will “all but end” by 2025, such a damning investigation makes Lyft look less able to get anywhere near that overly ambitious goal. And as for Uber, well... we already have our conclusions about its future.